Fougerolles was the second French Absinthe metropolis after Pontarlier, during the times of the Belle Epoque. This Absinthe uses wine-alcohol as a base and has a natural green color. 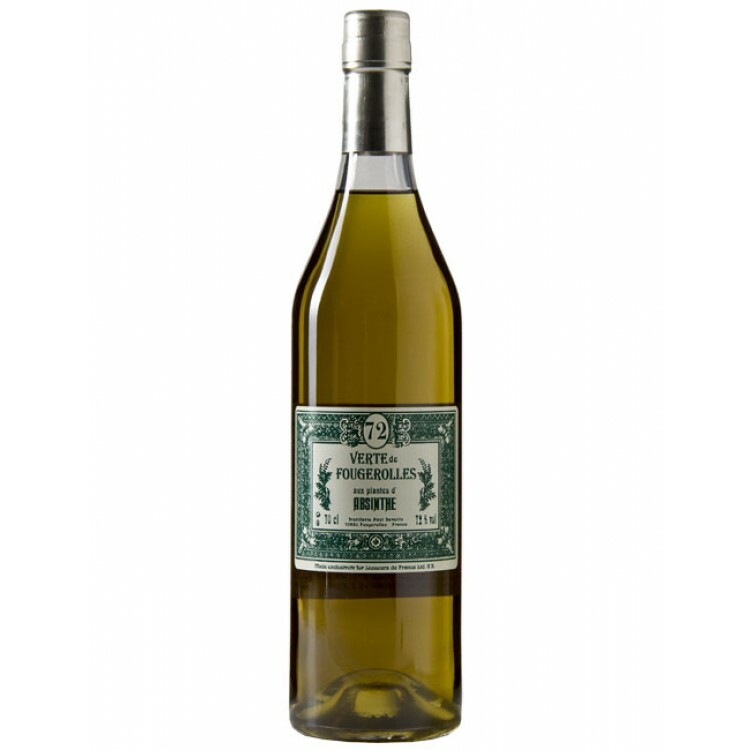 Absinthe Verte de Fougerolles is the green brother of the Absinthe Blanche de Fougerolles. Fougerolles was the second French Absinthe metropolis after Pontarlier, during the times of the Belle Epoque. This Absinthe uses a wine-alcohol base, and combines grand and petite wormwood, green anise, hyssop, génepi and fennel. These herbs are individually distilled into full 80% alcoholates, blended, and then reduced to 72%. 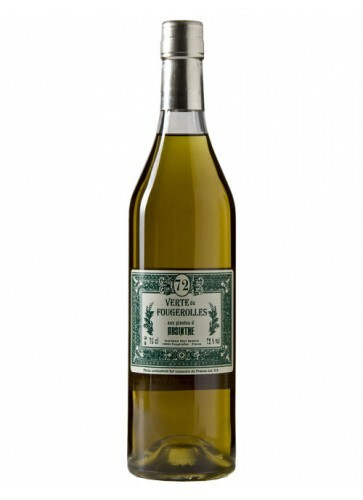 The green color of this Absinthe comes from a separately distilled green elixir "esprit vert", a natural maceration of additional plants, including veronica which is distilled in grape spirits and mixed in during the final coloring stage of production. The result is a potent green Absinthe with a beautiful louche and outstanding bouquet. After just some months as a new enthusiast absintheur, having tasted almost all the famous traditional green ones, as to me this is THE BEST! 72% of pure good real absinthe! Too much? One sugar cube, cold water and two ice cubes ... simply delicious! Even before opening this absinthe, the bottle is beautiful! Once opened, it had a wonderful aroma. It had a beautiful louche, great flavor, a pleasing "bite", and a very mellow effect. This is our favorite absinthe. We will be ordering it each and every time we restock! I've enjoyed this particular absinthe for the last few years, and have some great memories attached to it. Some more after ordering this one. Also kudos on the very fast service, received the bottle after 2 days, well in time for the event I had planned. Highly recommend this absinthe and service. My son brought me a bottle from France while station in Germany. This was my first time tring absinthe I always wanted to try the real thing is this is as close as it gets. I have tried it with sugar and cold water but since he told me that real absinthe not need to be dilluted I have done it the old fashion way. Strong but a sip at a time and your are there. The reason absinthe is diluted with sugar and water have more to do with it's prohibition as it was then mass produce in the checks republic and been of lesser quality they had to com up with a better way to satisfy your palate hence the sugar and water concoction. This is a great absinth. I tried it with 2 sugars and 50% water. First i thought it wouldn't louche, but halfway adding water it did turn into milk. The taste is very good. Not too much anise. A hint of caraway and clove. But i am afraid i made it too sweet. Next time i will use less sugar. Next time i will order another bottle.